The 3" Trapezoidal panel is a mechanically seamed roofing panel designed for industrial, commercial and large-scale applications over steel purlins. 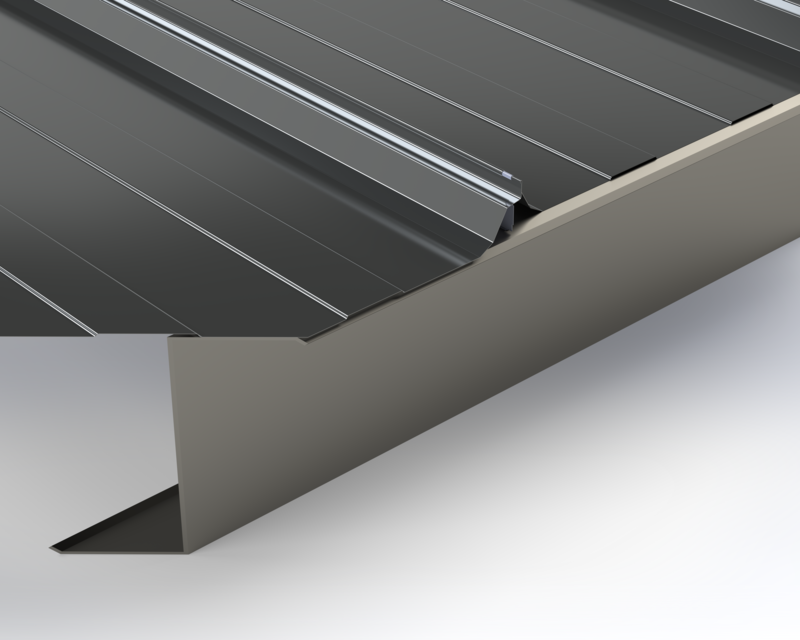 Available in a 16", 18", and 24" width, this panel works well for long spans, and very low sloped roofs. This panel can be field formed at the job site depending on region. Steel Purlin: Panel can be installed over open framing, with/without insulation (blanket or rigid).